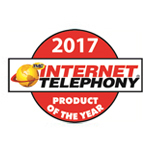 SPIRIT product TeamSpirit® IM is on-premises video messenger that interoperates with legacy corporate IT infrastructure – telephony, video conferencing hardware, Skype, Exchange server. TeamSpirit®IM provides a full set of features and options of popular IMs along with multipoint VideoMost® videoconferences that are compatible with enterprise video conferencing hardware such as Polycom, Cisco, Avaya, Huawei and with Skype. TeamSpirit® IM is not a cloud service, but a complete set of text messenger’s source code, from UI to backend, which quickly enables rich, engaging messaging experiences in any corporate mobile app. TeamSpirit® IM helps create comfort corporate workspaces to communicate, share and get work done together, like Cisco Spark and Microsoft Teams. All in one app with a single interface under your company’s brand. VideoMost® SDK is all-inclusive set of VVoIP media processing technologies, signaling protocols and collaboration tools for licensing. Perfect Mobile Video Call SDK is the product for blitzkrieg development of the perfect mobile video call functionality inside mobile VVoIP applications offered by service providers and software vendors.